The Beatles Kittens are getting bigger everyday! John is the biggest. 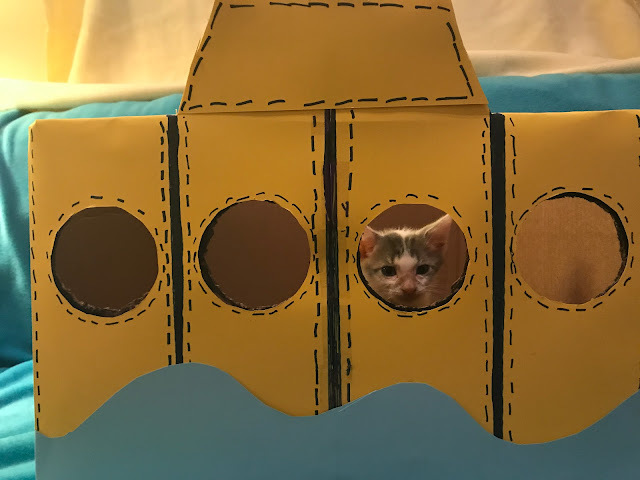 He is almost 2lbs. Ringo is the smallest at just over a pound so the Beatles will be with us until Ringo catches up and reaches 2lbs. 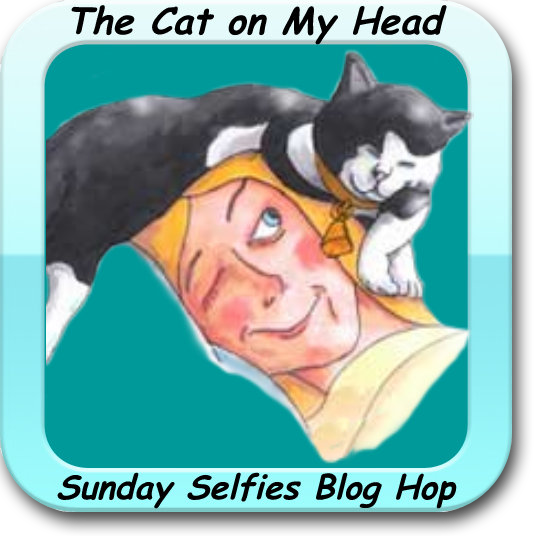 We are joining our friends at The Cat on My Head for their Sunday Selfies Blog Hop. Please hop on over to view the other entries. Oh this is just too cute for words. So creative!!! We love seeing the band back together and can't wait till Ringo joins his brofurs on the stage at Forever Home! 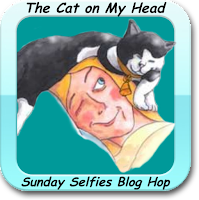 Thanks For a great fun post with great fun kittens! I have to say that these guys should never need a lonely hearts club band, they are way too cute for that! 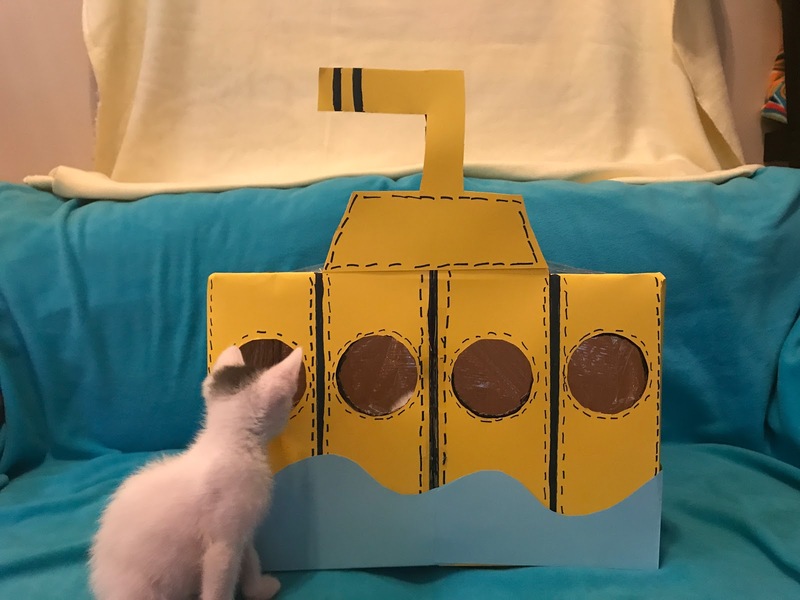 That is a wonderful rendition of Yellow Submarine, and you get a cool box to play in, too. Thanks for stopping by our blog. 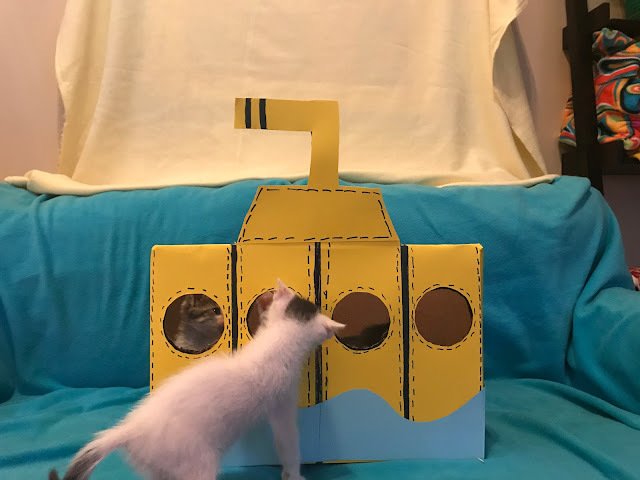 They are too cute :) So clever with the yellow submarine too. That submarine is so cool.... What fun!! Aww, Yellow Submarine has never been so adorable! Now that's a concert we would go see! That submarine adventure was a lot of fun! The cutest Beatles ever! Was their mother Yoko? MOL! We had Beatles kittens too, back when we were fostering kittens. Only ours were girls and named Rita (Meter Maid), Michelle, and Lucy (in the sky). They were all tuxies and we ended up adopting Lucy. Okay, that is a riot.